Superintendent of Larchmont and Mamaroneck Dr Robert Shaps, together with Dr Seth Weitzman, Principal of Hommocks Middle school ceremoniously cut the ribbon to the Rocket Composter. 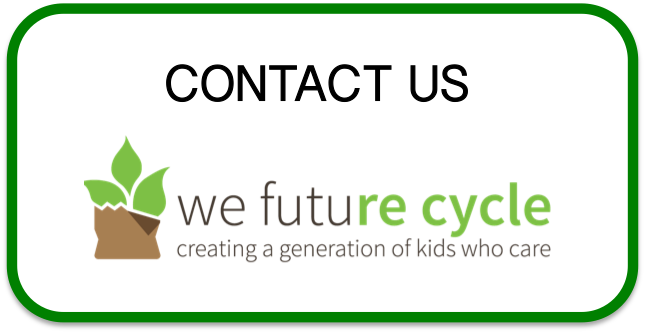 well help with the education of students and staff. 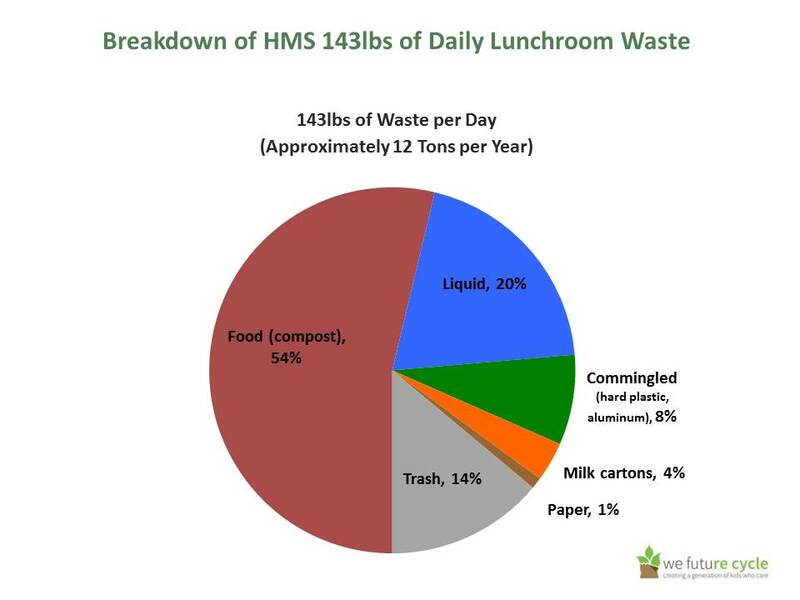 54% of the waste coming out of Hommocks is food waste, but through sorting , the school is also able to divert excess liquid into the drain, plastics into existing commingled recycling streams, and paper bags into paper. All in all, Hommocks is able to reduce its waste stream by a whopping 86%. 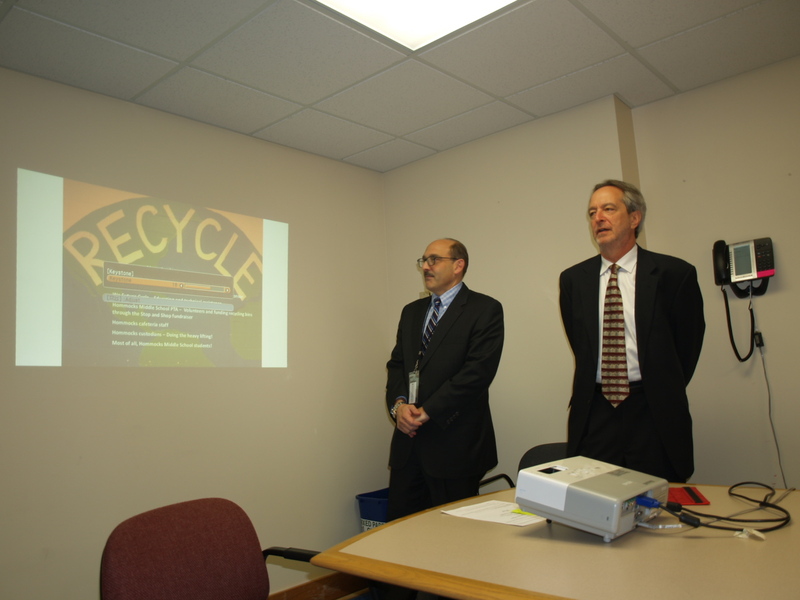 Mamaroneck’s mayor Rosenblum remarked with a smile that his DPW guys have been reporting to him the drastically reduced garbage output from Hommocks and he is looking forward to helping expand the program to the other schools.